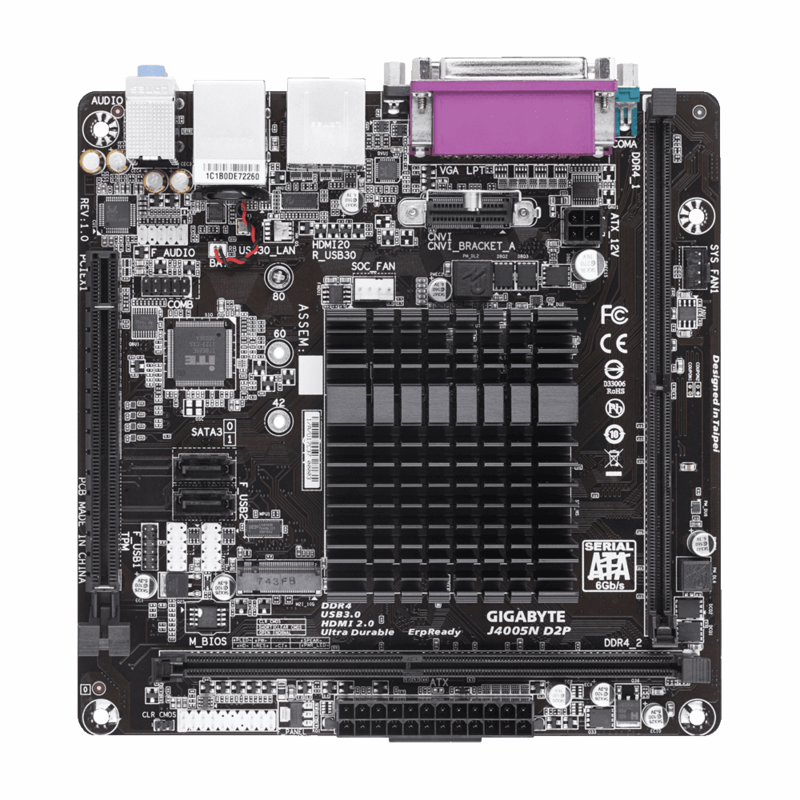 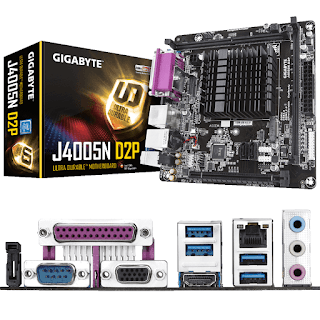 Kudos to GIGABYTE for the M.2 slot (still no DC-in jack though). 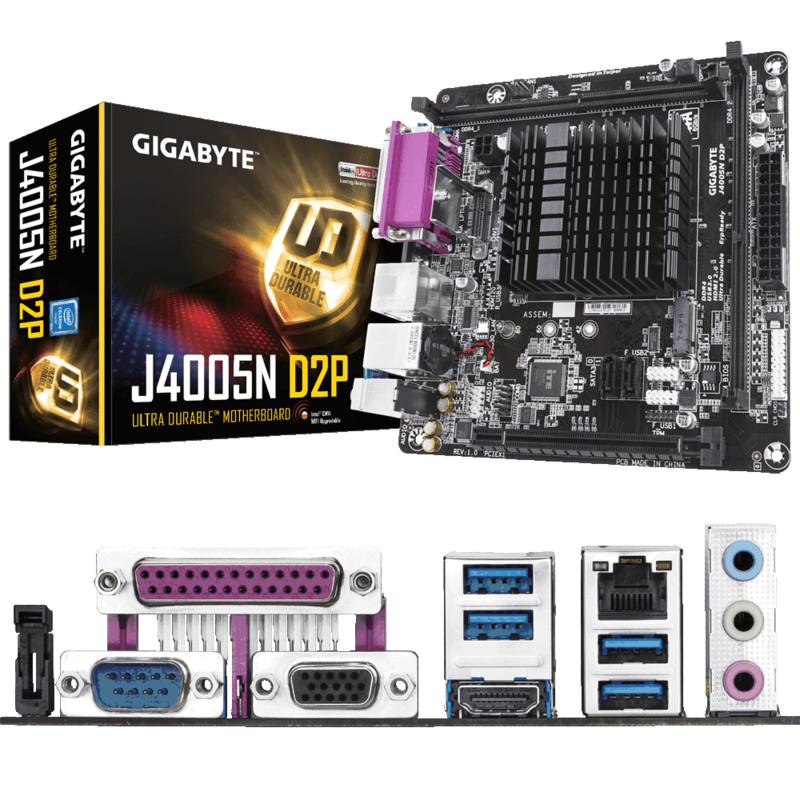 The entry-level J4005N D2P also supports DIMM RAM, a pretty rare feature for SoC-based motherboards. 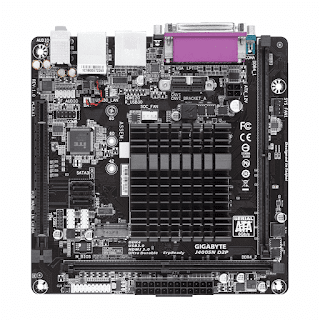 Interestingly, GIGABYTE also mentions 16 GB RAM max despite Intel's own 8 GB limit.